The working pressures and temperatures of the Pexgol spigot reducers are the same as for the d1 side of the reducer. Pexgol reducers are supplied with flared ends, with or without flanges. If supplied without flanges, use split flanges that can be installed later by the end user. 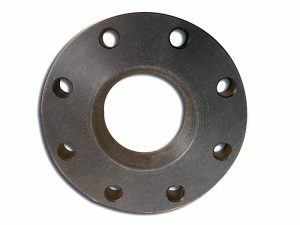 The split flanges can be supplied by Pexgol or by the end user. The maximum length of each flared end is specified as L1 or L2 according to table Dimensions of Pexgol spigot reducers or any length down to the minimum length L in table Length (L) for Pexgol stub end. The reducers with flared ends are produced with a tolerance of +/- 10 mm in.